I’m sitting by my desk, I’ve got some time before bed and I want to craft. I turn my head to the right, to the left, focusing on every location I know I have work in progress crafts. My heart wants to finish them all at once, but my head knows I can only do one at a time, so I wonder which to pick. I overthink, and then it’s suddenly bedtime and I haven’t even decided what to do. Most nights it’s not as dramatic, but sadly this has happened more than I’d like to admit, which is why I decided I need to come up with a way to help me pick something to work on. As always I’m drawn to lists, but the issue with a list is that it would most likely be on paper, and that can be misplaced. I also started thinking that a list might not be that helpful because my problem is with deciding, not remembering what I want to do or finish. Yesterday I thought about a way to randomly pick a WIP project to work on. 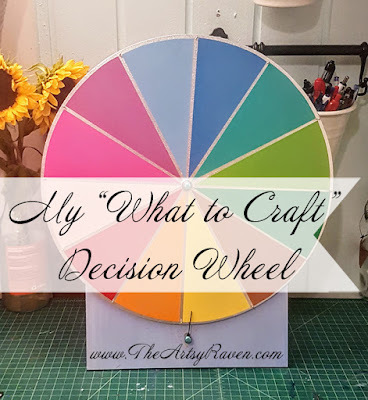 There are many sites on the internet that offers different ways to pick one thing, and I was mostly drawn to a spin prize wheel. While I’m all for going digital I’m not really interested in opening the random generator page I’ve decided to use every single time I can’t decide. 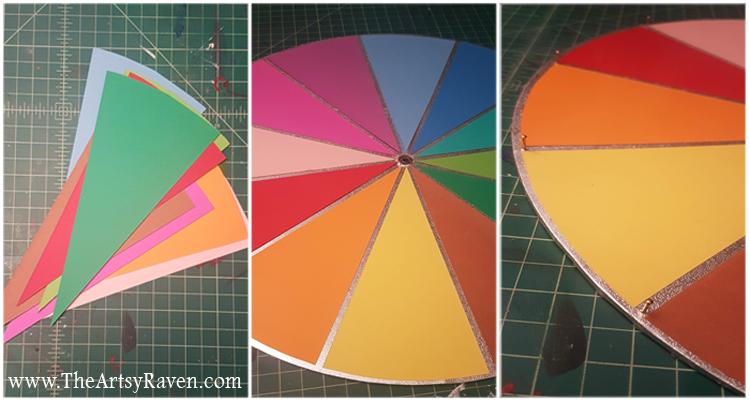 Inspiration hit just then and I decided to make my own spin prize wheel. The most important thing for me was that I could erase the text from the wheel once I finished that project or wasn’t interested in it any longer, so I was planning to either make it chalkboard or whiteboard. But both had their separate problems, I don’t have chalkboard paint and I’m also not a big fan of chalk indoors, and I didn’t have any whiteboard vinyl (it’s also expensive here at least) and I wasn’t sure how else to make it. Wood? Don’t have any tools to cut out a circle and I’m not sure where to get something large and thin. Cardboard? It will be destroyed. Did I have something I didn’t need but owned? I do have a wooden pizza plate I wasn’t using, but it was sort of heavy and so I wasn’t sure how well it would work out. Could I buy something cheap that could work? I knew of a Lazy Susan, but it wasn’t in town and so if I ordered it I might lose inspiration to finish it as my summer vacation would end soon. I decided to take my problem to my husband, usually talking with him would either lead to him helping me out with an idea or me coming up with a new solution, this time while we chatted I remembered something else I had in my possession, cake plates I got from one of my sisters. I knew they weren’t made out of wood so that worried me slightly, but both my husband and I decided it was worth a try, and if it didn’t work out I could always get a Lazy Susan. 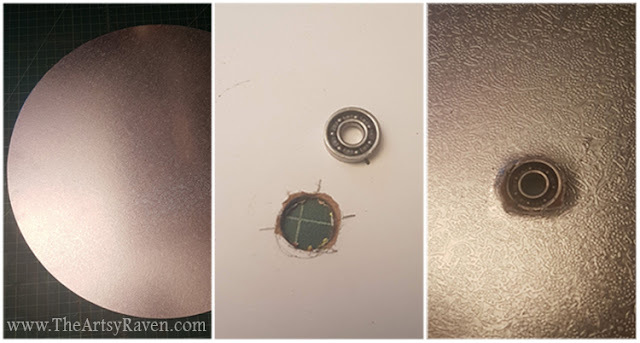 The plate is thin, and while it might be cardboard it’s compressed well so it was far more sturdy than I first thought it would be, but I still worried about the hole in the middle which I feared would expand because of the spinning, so I wanted to harden it somehow. The idea how to fix this problem came to me when I thought about the system a Lazy Susan uses. “Do you have a spinner you don’t like?” I asked my son. There was one spinner he didn’t like at all which he gladly gave to me. My idea was to fit the ball bearing part from the spinner into the middle for the wheel. Once I was sure it was in the middle of the plate I made a hole big enough for the spinner part. I used scrapbook paper for the slices and cut out the right size once I decided how many portions I wanted. After gluing them to the cake plate to keep them in place I found a roll of clear contact paper I’ve had since before I became a teen, that’s 20 years ago! I wasn’t sure how well it would work because it’s not as smooth as whiteboard should be, but a quick test showed it was possible to clean it (after a day it wasn’t as easy to remove the marker, but it easily vanished once I used a wet tissue). 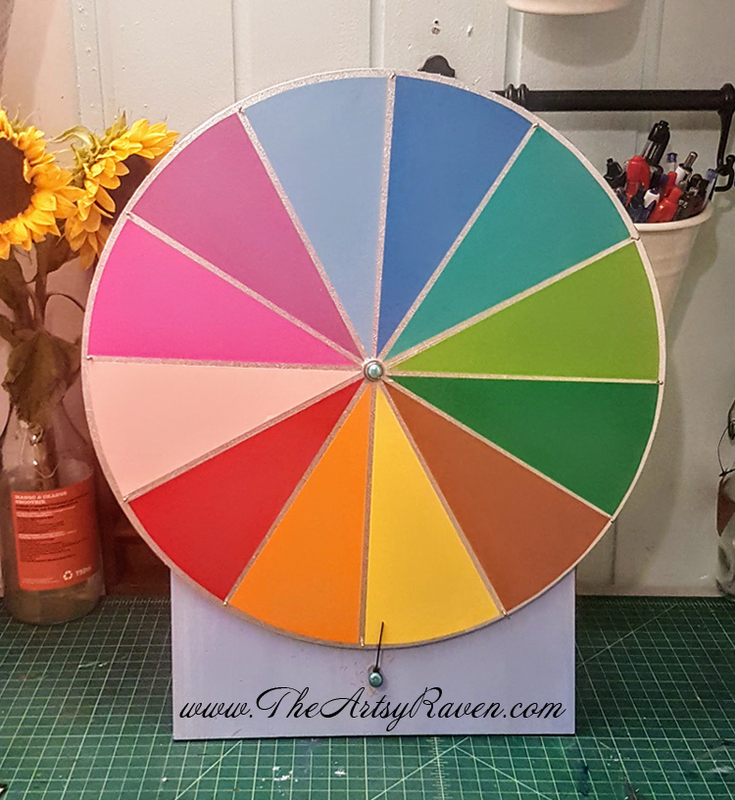 I finished the whole prize wheel by covering the screws with pretty brads I had and screwing the wheel to a board I had laying around in the basement, and making holes in each of the corners so I could hang the wheel on the wall. I want to end this by saying that I probably won’t do the exact thing it picks because sometimes when I spin it I have this urge to do one of the other things on the wheel, while it sounds like it’s a waste of craft it’s really not, because taking a risk often helps you decide.